With Thanksgiving over, I’m fully embracing the holiday spirit and obsessing over all things Christmas. This is my favorite time of year, in large part because of all the traditions there are to look forward to. 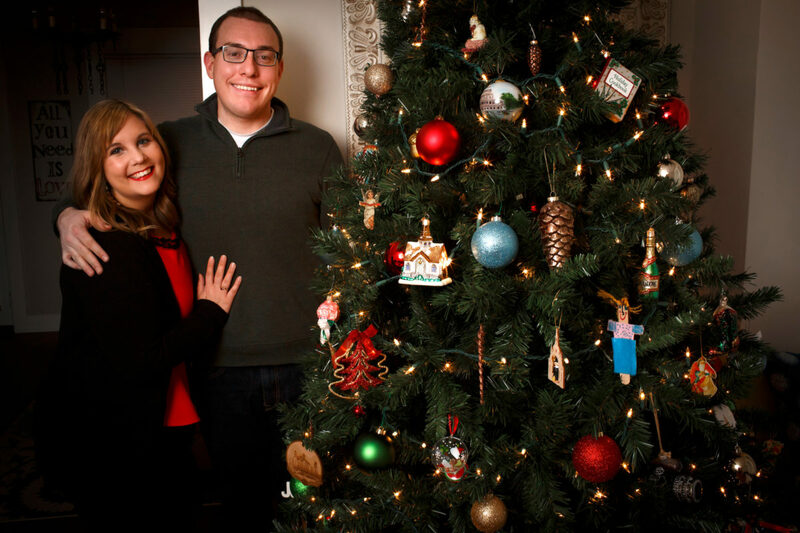 In addition to doing things at home with our families, James and I love visiting some of our favorite places across the Midwest to celebrate the season. I’m hoping to add some new traditions this year, like visiting Winter Lights at Newfields and checking out the Carmel Christkindlmarkt. There are so many things I love about this season, so it was hard to narrow this list down to just ten! Here are some of my favorite activities to help us get into the holiday spirit. 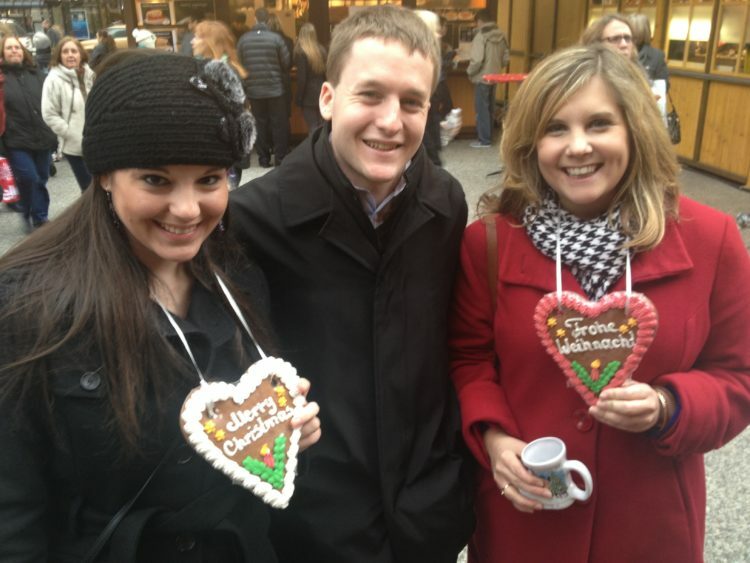 Nothing gets me more into the holiday spirit than visiting the German Christmas market in Chicago every December. There are three locations this year, but we always go to the original location at Daley Plaza. It’s conveniently located downtown, which means it’s easy to hit up before seeing a Broadway show or when you need a break from shopping. The market is full of little huts selling everything from beautiful, wooden ornaments to hot, mulled wine. We always get a glass or two of the wine to sip while we stroll around and window shop. We often buy an ornament for ourselves or as a gift for others at one of the market’s shops, which has just about every ornament you could imagine! The crowds here are always large, but it’s worth braving the masses. This is another Chicago tradition you have to partake in at least once! My parents visited the Walnut Room with their families when they were kids, and it’s a tradition they’ve passed on to us. The Walnut Room is located inside the former Marshall Field’s on State Street, which is now a Macy’s. People are willing to wait hours to get a table during the holidays because of the amazing decorations. There’s always a breathtaking tree in the center of the room that serves as the backdrop for many families’ holiday photos. It’s decorated with a different theme every year, which makes the annual trip all the more exciting. The Walnut Room offers a special menu during the holidays, which includes my favorite holiday drink ever: Eggnog Brandy Alexander. The restaurant doesn’t take reservations during the holidays, so expect to wait about two hours for a table. But, don’t worry — you can shop while you wait! We’ve also learned that going at odd times during the day makes it easier to get a table. And, if you don’t have anyone under 21 in your group, you can sit in the bar. We’ve opted to snag a table in the bar section the past two years and haven’t had to wait more than 20 minutes. 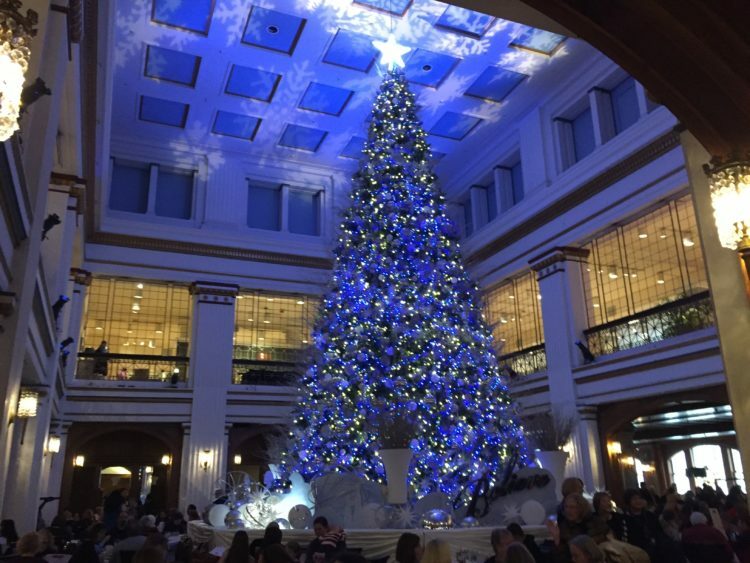 If you’ve never visited West Baden Springs hotel, Christmas is the time to go. 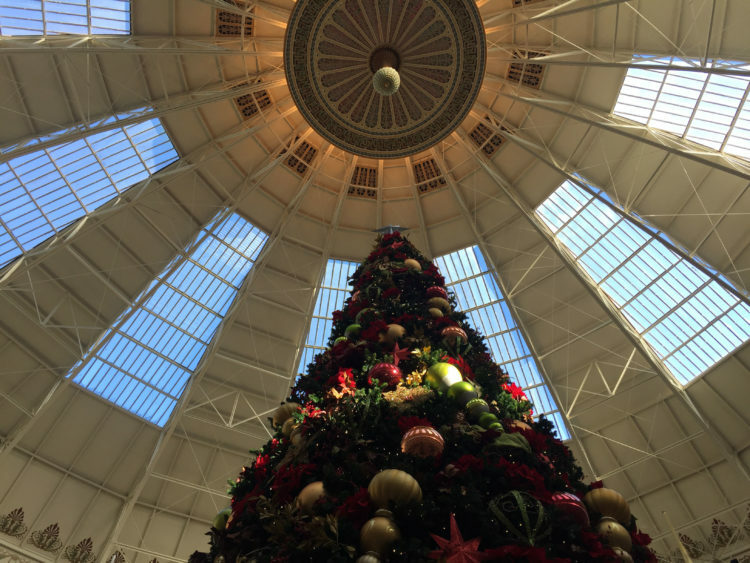 The domed atrium of the hotel is impressive year-round, but the giant tree that stands in the middle of the room makes it even more beautiful. We like to grab a drink and dessert at the atrium bar while taking in the amazing view. It’s also worth hopping on the trolley and visiting the French Lick Hotel, which is also extravagantly decorated for the holidays. Check ahead of time to see what events are happening when you plan to visit. There is often live entertainment on weekends and plenty of family-friendly activities to check out. I highly recommend taking the historic, guided tour of the hotel if you haven’t visited before. You knew there had to be a beer-related activity on this list, right?! 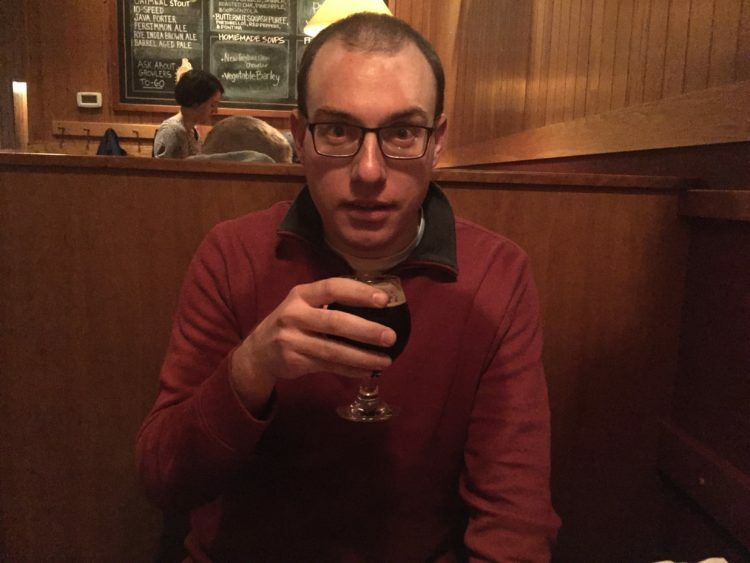 We’ve been huge fans of Bloomington Brewing Co.’s seasonal Imperial Black IPA since we moved to Bloomington. It’s become a tradition of ours to not only grab a few pints during December, but also fill a growler or two with Krampus. We almost always have a limited amount to share with guests during our annual craft beer and cookie exchange. BBC is hosting its Krampus release party this Thursday, and my dad will conveniently be in town for the event. I can’t wait for the first sip of the season! While I don’t miss the lake-effect snow that came along with South Bend winters, I do miss some of the snow-related activities we enjoyed while living in the northern part of the state. 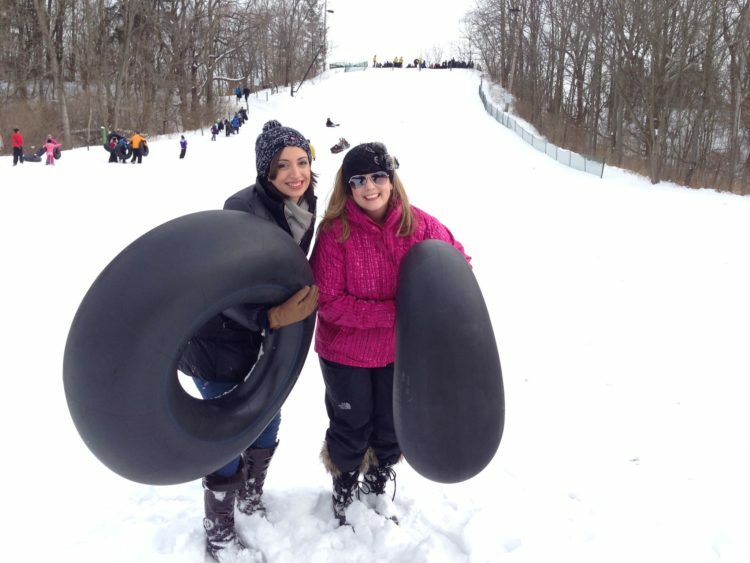 I’m dying to get back to our old stomping grounds to go snow tubing at St. Patrick’s County Park. You pay to rent a tube for the day and then slide down a giant hill. You can go on your own or create a train of people, which makes you go even faster! St. Pat’s also offers great cross country skiing, including some special guided nighttime programs throughout the winter. James and I actually got engaged at this park, so it will always be a special place to us. 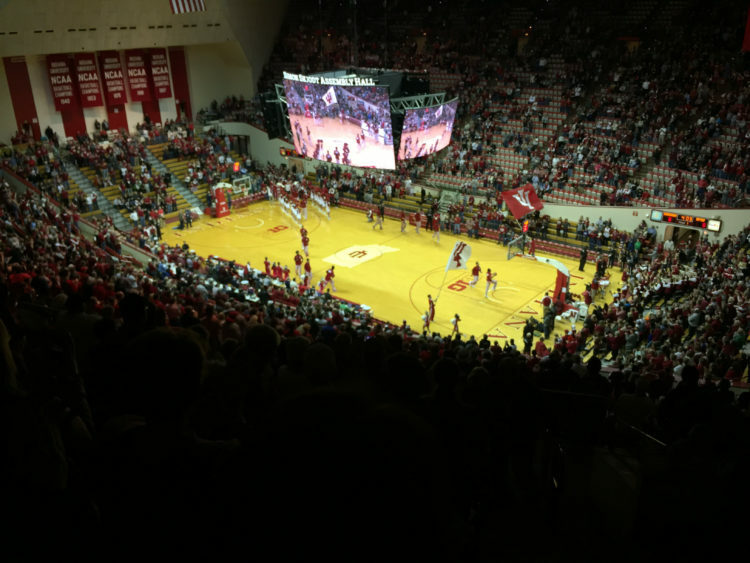 Our favorite time to go to Indiana University basketball games is during winter break. All of the students are gone, so it feels like a ghost town — which we love! While the games may not be the most competitive, that means it’s usually easy to snag decent seats for pretty cheap. We’re really excited to be taking my family to their first game this December. There are few things that bring me more joy than driving past this house on Hovey Avenue in my hometown of Normal, Illinois. Seeing the yard and roof packed full of illuminated holiday figurines is something that I’ve looked forward to since I was a kid. The display’s grown over the years. 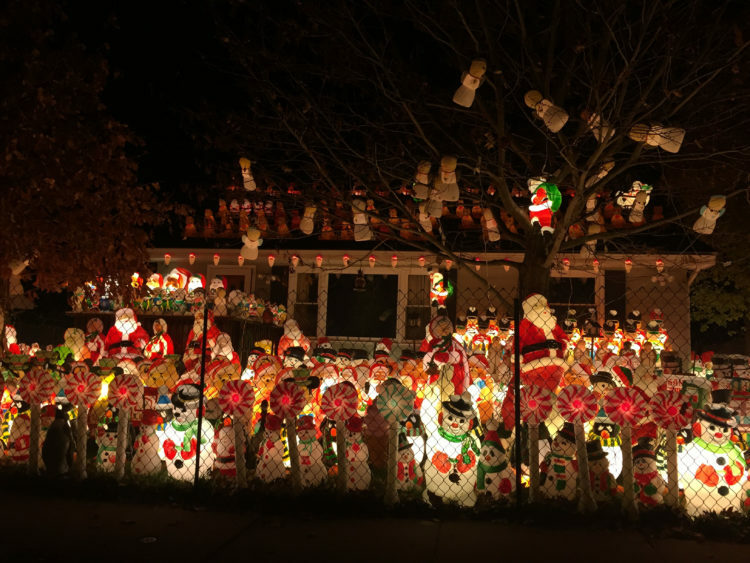 Last year, it included 1,000 figurines, which also spill into the neighbor’s yard. When we went home for Thanksgiving last week, the display was already ready to go. 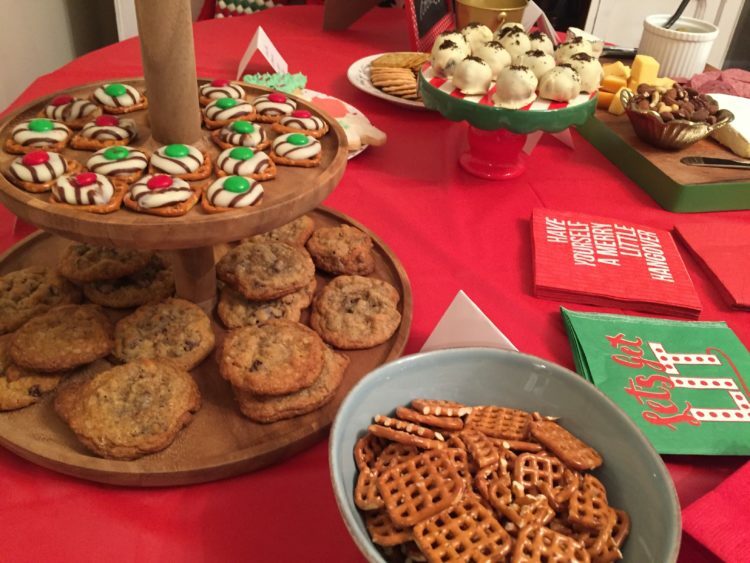 We love throwing parties, but our craft beer and cookie exchange is by far our favorite of the year. Everyone brings a dozen cookies or a six pack of beer to share, and we spend the evening sampling all of the goodies. It’s a great excuse to get together with friends before the craziness of the holidays really settles in. And, can you really go wrong with cookies and beer? 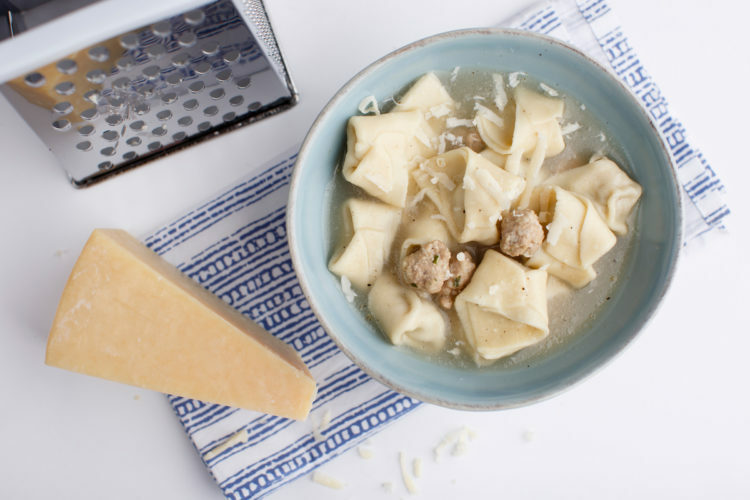 When we get together with my cousins over the holidays, we often end up making some of my grandpa’s famous tortellini to enjoy for a meal. Having a large group of people to help fill and fold the tortellini makes the process go much more quickly. And, there’s something extra special about preparing a meal together. Spending time in the kitchen with loved ones is one of my favorite parts of celebrating Christmas. My favorite meal of the entire year comes on Christmas Eve. My family started a tradition years ago of having an appetizer buffet. Each of us makes two to three appetizers, and we always have more than enough food for a meal. The dishes are usually a combination of family favorites and new recipes. 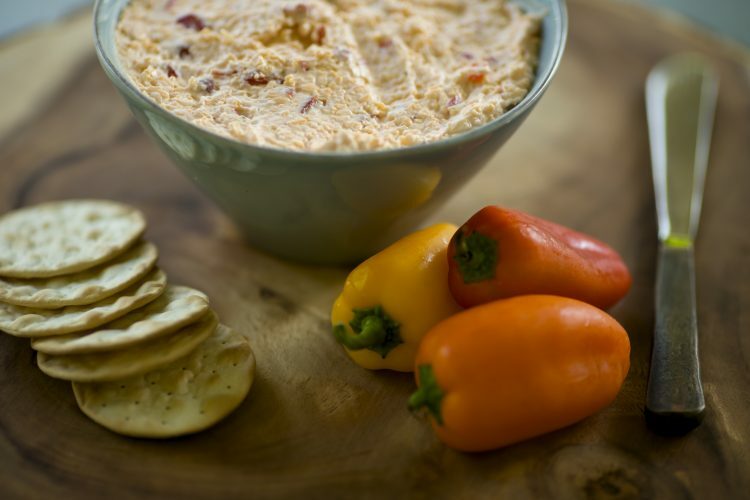 It’s a great way to have a delicious, memorable meal without spending all day in the kitchen.